Valentine’s Day is fast approaching and now is the time to find the perfect romantic gift for the special man or woman in your life. Research has shown that people get more happiness from experiences than things. Why not give a memorable experience instead of the usual toy or trinket that will just end up at the back of the cupboard? Do you and your partner relish the idea of a embarking on a new challenge together? 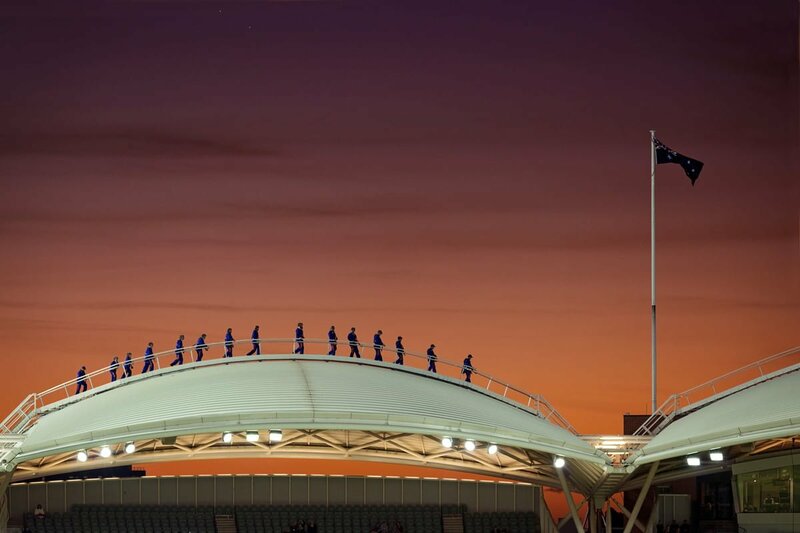 The Commonwealth Bank RoofClimb will take you both on a sky-high adventure with views that’ll leave you speechless. Imagine soaking up the sights of Adelaide with your loved one as you make the journey across Adelaide Oval’s iconic roofline. Whether you choose to climb during the day or as the sun sets over the city, it’s an unforgettable experience you’ll both cherish for years to come. Limited day and twilight climbs are available for February 14 – visit our website to book. If you’d prefer to climb on another date, you can also purchase a RoofClimb gift card via our website to surprise your partner with on Valentine’s Day! 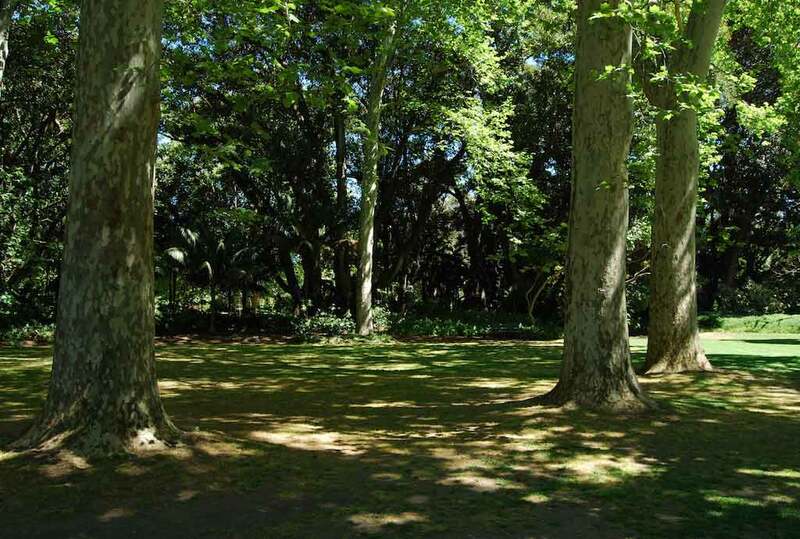 Is there anything more romantic than a leisurely stroll through the beautiful Adelaide Botanic Gardens with your special other? With exotic gardens, towering gums and peaceful lakes, this tranquil oasis in the middle of Adelaide is the perfect setting for a romantic rendezvous away from the city’s hustle and bustle. After wandering through the gardens, surprise your partner with a gourmet hamper from Botanic Gardens Catering, find a sunny piece of grass and enjoy a romantic picnic for two. Delicious food and drinks surrounded by nature on a beautiful summer day with the one you love? Yes please! To order from a range of gourmet baskets, visit the Botanic Gardens Restaurant and download a catering order form under ‘Garden Events’. PS: Don’t forget the picnic rug! Forget about buying an off-the-shelf perfume. Fragrance is very personal and what could be more thoughtful and romantic than a custom-made scent just for her? 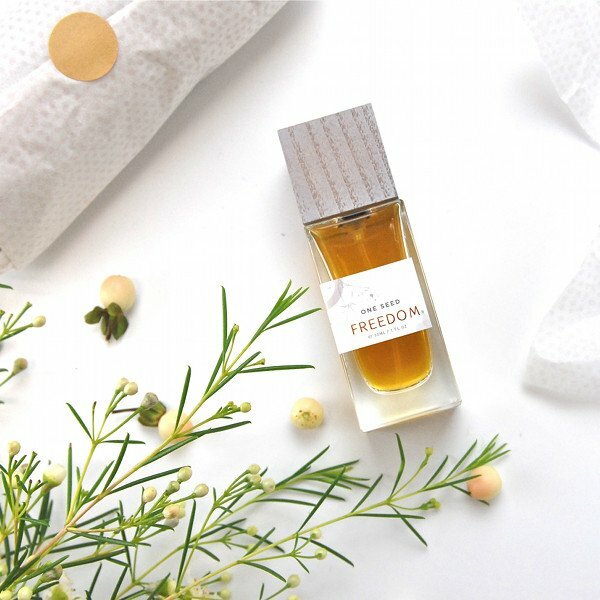 One Seed’s perfume workshops at its Adelaide studio will teach you the basics of perfumery and scent blending and give you all the take-home goodies you need to create your own fragrance. You can choose from scents like green mandarin, rose trio, violet leaf and juniper, and all ingredients are natural, vegan-friendly and cruelty-free (and mostly organic). If you’re inspired to create a signature scent with the one you love, visit the One Seed website to book your Scent Bar Workshop. Okay, so skydiving might not be the first thing that comes to mind when you think of romance. But, just like love, skydiving will have hearts racing and adrenaline pumping as you share the adventure of a lifetime. 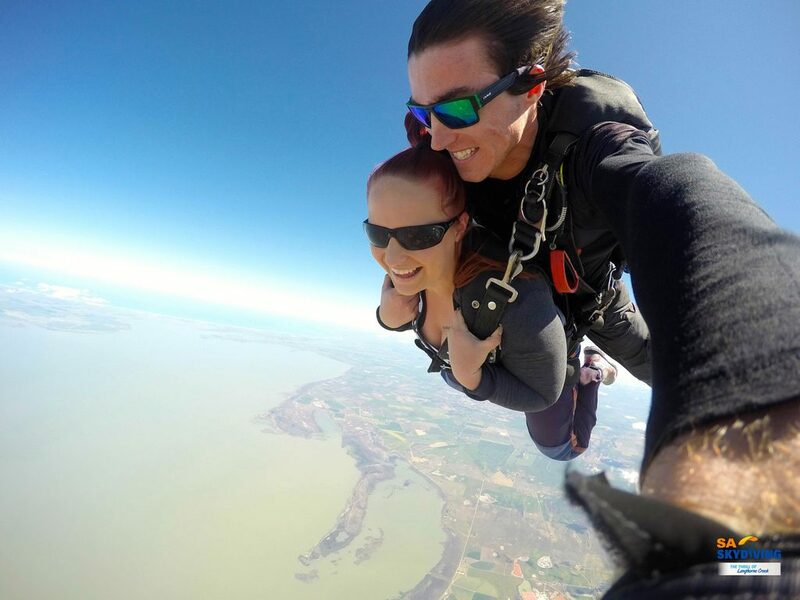 With locations at Langhorne Creek, Goolwa and Lake Alexandrina, SA Skydiving’s energetic team will go out of their way to make your skydive a safe and memorable experience as you and your partner ‘fall in love’ with the spectacular views (pun intended). To share an adrenaline rush with your loved one – or even pop the question in a unique and unforgettable way – visit the SA Skydiving website to book the thrill of your life. Ah, love is in the air! If neither of you fancy jumping out of a plane for love, then perhaps drifting along the River Torrens in the comfort of a Venetian-built gondola is more your style. 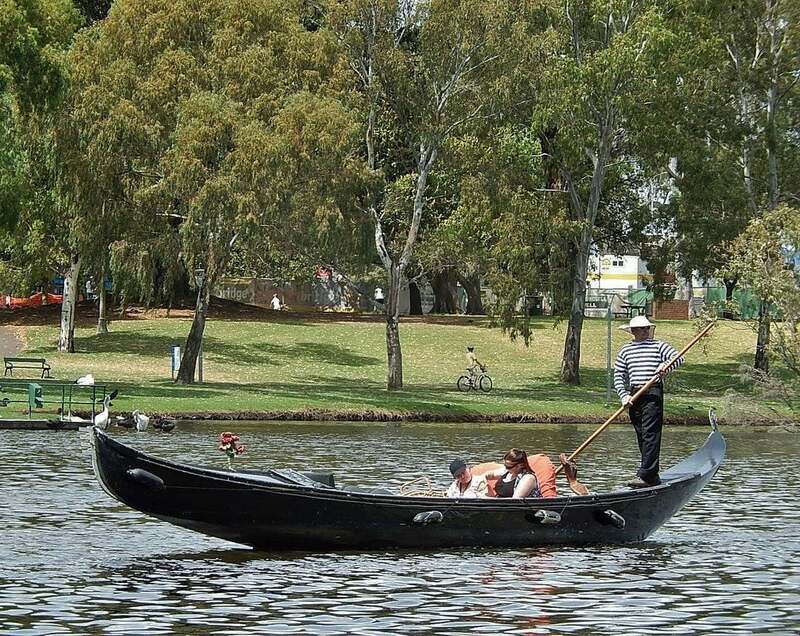 Experience the romance of Venice in the heart of Adelaide as you drift along the Torrens with this unique 1-hour cruise from Adelaide Gondola. Sip on premium Australian wines and take in the charms and colours of Adelaide while sharing a romantic moment. Bring your own picnic basket to enjoy along the way or indulge in dinner at Adelaide Oval’s Hill of Grace Restaurant after your ride. Visit the Adelaide Gondola website for details on how to reserve your gondola experience. 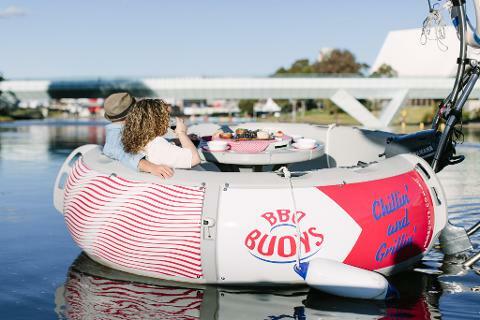 For something a little bit different, why not hire and drive a BBQ Buoy down the Torrens while Chillin’ and Grillin’ your favourite BYO meats? These donut boats come fitted with barbecue grills so that you can cook your dinner as you float down the river. Extras to choose from include drinks packages, eskies (ice provided), music speakers and snacks to share. If you want to have #funafloat with your special other, check out the range of options on the BBQ Buoys website. Take time out to pamper your partner (and yourself) with a romantic ‘Couples Indulgence’ spa package from Spa on Brougham in North Adelaide. Whether it’s for a romantic date or just to show how much you love them, this gift is sure to impress and bring you closer together. Relax in the spa and pool facilities, soothe your aches and pains with a full body massage in the couples room, and unwind with a ‘his and hers’ revive facial. You can also upgrade to a hot stone massage for the ultimate pampering experience. Visit the website for more details and to book your blissful couple spa package. 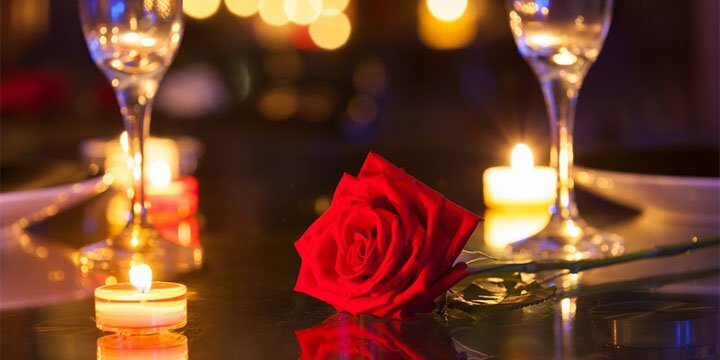 Show that special someone just how special they are by spoiling them with the perfect romantic weekend getaway at The Playford Adelaide Hotel in the heart of Adelaide’s CBD. Choose The Playford’s ‘Romantic Indulgence’ package and enjoy overnight accommodation in the elegant Playford Guest Room, a sumptuous three course dinner and full buffet breakfast for two, a bottle of Australian sparkling wine, and full use of the 24-hour health club and pool. Whether you decide to stay in or step outside and explore Adelaide’s city attractions, this intimate experience is the perfect five-star luxury hotel break for couples who want to celebrate their love. Check availability and plan your romantic break here. For the latest RoofClimb news and even more ways to experience Adelaide and its surrounds, please stay in touch on Facebook or Instagram. Become a VIP to access special offers, promotions and our latest news!